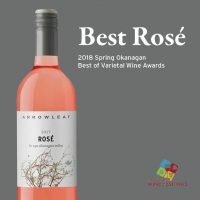 Lake Country Wineries – Arrowleaf Cellars is a family business owned and operated by Swiss Canadians, Joe and Margrit Zuppiger and their son Manuel. Having two decades of farming experience in both fruit growing and dairy operations, Joe and Margrit were looking to try something new. In 1997 they purchased Suncrest Vineyard with the goal of starting a land based winery. 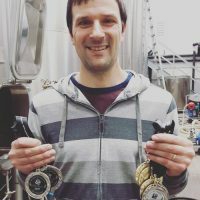 Manuel went back to Switzerland to study wine making and returned with a keen interest to make quality wines in the Okanagan wine region. Arrowleaf officially opened its doors in Spring 2003 with 2001 whites and 2002 red wines. 2013 – The Grand Opening of the new tasting room & barrel cellar designed by architect Robert Mackenzie. 2014 – Named the Number 2 Winery in Canada by The National Wine Awards of Canada based on medal standing at the 2014 competition. 2014 – A Gold Medal for 2012 Solstice Pinot Noir at the, Mondial des Pinots, held in Switzerland. A prestigious world-wide pinot-based competition. 2014 – The Grand Opening of The Kitchen at Arrowleaf. 2015 – The White Wine of the Year trophy award for 2016 Riesling at the All Canadian Wine Championships. 2016 – A Gold medal for 2014 Solstice Pinot Noir at the Mondial des Pinots. 2017 – The release of Arrowleafs first sparkling wine, Wildblume (Vidal). 2017 – Received Two Gold medals at the Mondial des Pinots: 2016 Pinot Gris and 2015 Pinot Noir. 2018 – The release of new wine labels and updated portfolio: Arrowleaf varietal wines, Field Collection blended wines and Archive limited production premium wines. 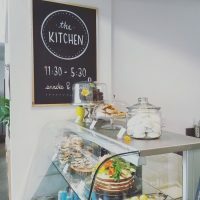 The kitchen & bakery features scratch-made lunch items and quality pastries. Some of the picnic-inspired lunch foods include cheese & charcuterie boards and hand-rolled flat-breads. They are pastry lovers and take pride in offerings like the salted caramel cream puff, four layer carrot cake, and fresh-baked breads. The menu is inclusive for all diners and offers a variety of vegetarian, vegan and gluten-free dishes. Enjoy the fresh fare in a relaxed setting on the patio or picnic area with beautiful views of the vineyards and Okanagan Lake. 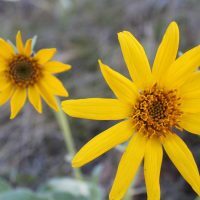 The winery is named after the Arrowleaf Balsamroot, also known as the Okanagan Sunflower. It is local to the area and blooms on the hillsides in early spring. The Arrowleaf is a symbol of their commitment to producing terroir-driven wines. 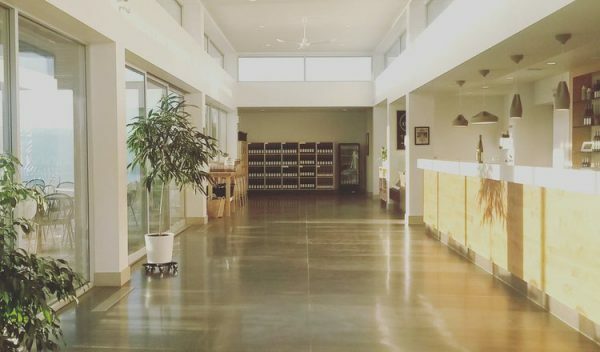 You can Experience, Arrowleaf Cellars as part of a Lake Country Wine Tour departing twice daily from Kelowna or as part of a Full Day Adventure! Or follow this link for tasting info and directions.